Have you ever wanted to try your hand at oil painting? Or felt fascinated by the Old Masters realness? If that's you then you should definitely come and join in for the 6th century old painting medium. Whether you’re new to paint or a beginner or an artist who typically works in another mediums, you are welcome to participate in the workshop. No experience in drawing/painting is needed. 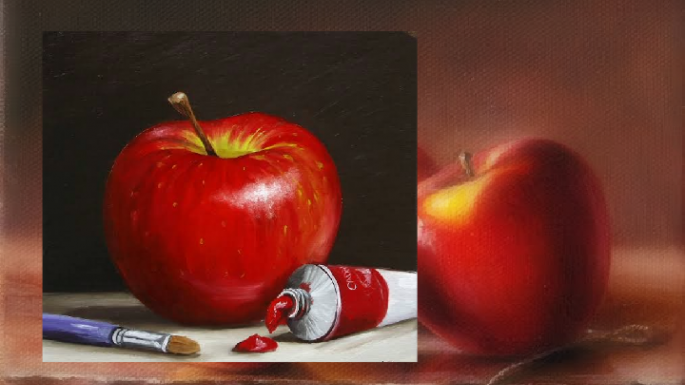 It will be a guided session shedding knowledge on basic methods and techniques to create a photorealistic oil painting. All art materials including canvas, oil colours, brushes, etc will be provided. Also, you will get food and beverage coupon worth Rs. 300/- Come, experience a gala time with us learning oil painting. Oh yes! you can take home your masterpiece. About the artist: Damini Sargam is a professional artist based in Mumbai, working for clients based in India, Germany and Switzerland. She specializes in making oil paintings, portraits, human figures, landscapes, theme based and abstract paintings. Share "Oil Painting Workshop "